Pro baseball player Devin Carter is set to break a home run record until a knee injury puts him on the bench. With nothing to do but wait for recovery, Devin impulsively treats himself and his dog to a vacation in the Florida Keys. He checks in at a family-run hotel called The Blue Paradise—and that’s where things get interesting. Sparks fly when Devin meets Jim Dellwood, the resort owner's grandson, on the beach. Though Devin’s time in Islamorada is limited—and he's still in the closet to his teammates and the media—they decide to give the budding relationship a shot. Once he returns to Sarasota, Devin and Jim find ways to make their long-distance love affair work, but the team’s new outfielder has other plans for Devin. Can Devin make his way back to The Blue Paradise—and Jim? Wow, I totally got into this one, a real surprise as the story didn’t at all go where I was expecting it to and the love scenes were for the most part fade-to-black. Sure we get the usual hand jobs, blow jobs and make out sessions but except for a delicious “edging” scene (yup, learn something new every day in my M/M romances) our hero “makes love” and leaves the rest to our imaginations. Kinda refreshing. Blue Paradise also gives us a creepy stalker plotline – which I didn’t see coming, and our hero is a professional baseball player. Yum! And wasn’t it fun going behind the scenes with him; locker rooms, agents, groupies etc. Giving me flashes of For Love Of The Game (without Kevin Costner) as he tries to break Barry Bonds homerun record on a failing knee. I should also mention the awesome Florida setting here; so well written that I could actually feel the humidity, smell the salt air and see the swaying palms. Total escapism and I loved it. This was a big hit for me and I’ll definitely be seeking out more from Theo Fenraven. Professional baseball player Devin Carter is nursing a bad knee, benched by the team doctor he’s hoping a week’s rest in the Florida Keys will be just what his mind and body need to help him break the home run record when he returns for the remainder of the season. With no true direction in mind Devin just grabs his dog and hits the road, eventually checking into a non-descript hotel bungalow on the beach. 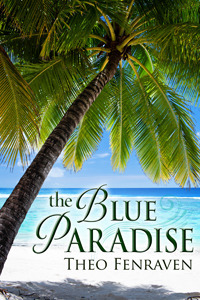 It’s there at the Blue Paradise that Devin meets Jim, the grandson of the owner and the man he doesn’t know he’s been looking for. 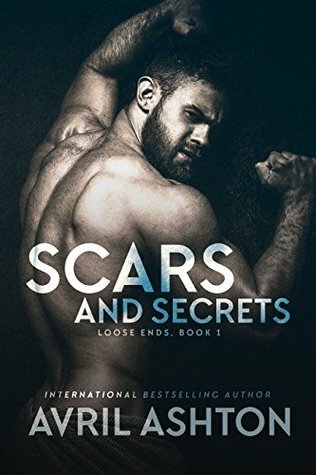 Their affair is short lived but meaningful and when Devin returns to Sarasota they decide to keep it going over the phone. There isn’t any angst or unnecessary drama between Devin and Jim; it’s all very mature (that aspect has been saved up for Jorge.) Devin is still in the closet when it comes to the media and his teammates but otherwise quite secure in his sexuality so even though he’s never fooled around with a teammate before when the opportunity presents itself - and with Jim’s open minded blessing, he forges into unknown and potentially messy territory with the team’s new outfielder. And that’s when things get really interesting. 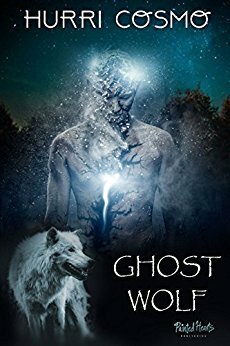 For a novella, I got way caught up in the stalker aspect of this story and the utter helplessness Devin feels as his life crumbles around him. He can’t even go to his coach or the police without coming out, however as the violence escalates he also runs out of options. The bad guy here is nothing new or special but he still managed to make me hate him while upping the suspense level. My only real complaint here would be Dev and Jim’s initial meeting which just felt a little too easy and convenient but hey what do I know about gay hook ups? LMAO D, yes I learned some new things with this one. A great read, loved the baseball aspect.